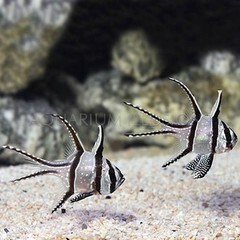 Banggai Cardinalfish is a very attractive fish . Its overall body coloration is a shimmering silver, highlighted with pearly white spots. Bold, black stripes.